There are some concepts in horseback riding that are hard to teach with words alone. No matter how much I talk about it, or show you how to do it or explain what it should feel like there are times when a picture is worth a thousand words. 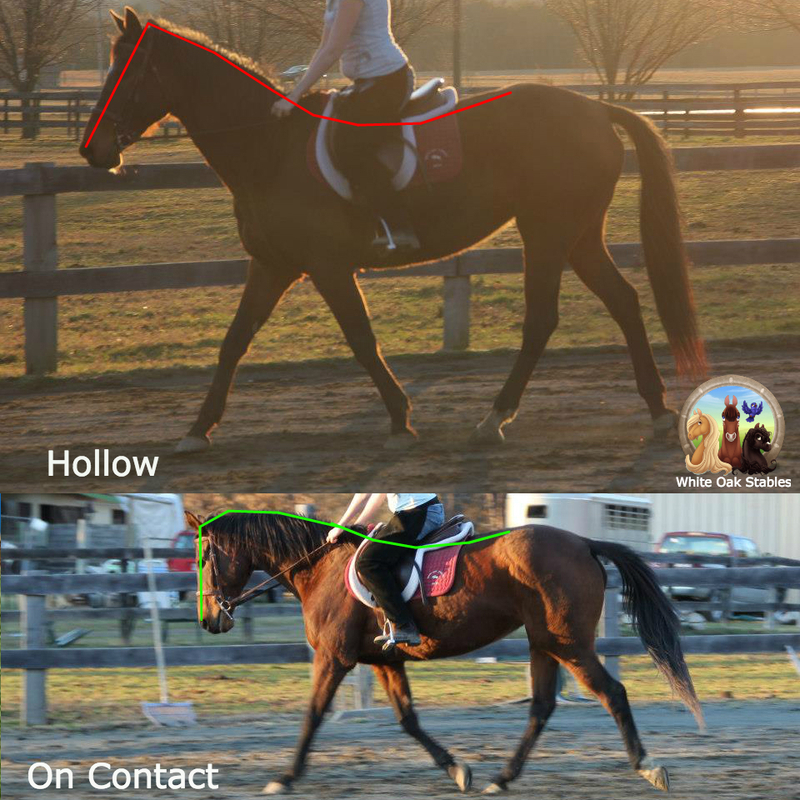 If you hear someone say your horse is hollow it means their head is up, they are fighting or evading contact with the bit, and they aren’t rounding over their backs and engaging their hind end. A hollow horse will have it’s head up and blocking your view most of the time and a choppy, hard to sit stride. On the other hand, a round horse will have their head on the vertical, also known as being on contact or on the bit — not to be confused with being behind the vertical. They will be rounding over their back and pushing off with their hind end so that they’re moving up and into the bridle. Their head will be down so that you can draw a straight line from their ear to their nose and down to the ground, and they will have a much smoother stride that’s much easier to sit on.